The boost experienced by nanophotonics research during the past decade has been driven by the ability of surface plasmons to collect and concentrate light into deeply sub-wavelength volumes. The hybrid nature of surface plasmons (which emerge from the coupling of photons to the collective oscillations of conduction electrons in metals) has allowed an unprecedented control of light at the nanoscale, a regime inaccessible to standard photonic technology. 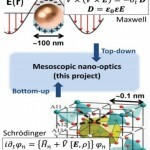 This scientific success has been possible due to two factors: the high precision of modern nanofabrication and characterization techniques, and the extraordinary predictive value of classical electrodynamics. However, the miniaturization trend in experimental nano-optics is currently approaching dimensions comparable to the typical Coulomb screening length in noble metals (of the order of a few angstroms). A theoretical challenge arises in this spatial range for two reasons. On the one hand, at this sub-nanometre regime, macroscopic electromagnetism breaks down due to the emergence of quantum effects such as spatial non-locality. On the other hand, the enormous complexity of the full quantum numerical schemes available to describe the electron-ion dynamics in metals restricts their applicability to systems involving only a few hundreds of electrons. The objective of this project is to fill the gap between Maxwell’s equations and first principle condensed matter theory methods. It aims to devise a mesoscopic platform able to treat accurately and efficiently the interaction between light and matter in nanodevices which, presenting angstrom-sized geometric features, contain millions of electrons. This is a prominent fundamental problem with significant technological implications. The further development of nanophotonic technology requires a complete and unified picture of the physical mechanisms behind its performance. The ultimate goal of this proposal is providing the theoretical framework for this purpose. Funding Agency: IEF-Fellowships for career development, FP7-PEOPLE-2013-IEF project number 623708. Duration: March 2014 – March 2015. Scientist in charge: Fabrice Pierre Laussy. Funding agency: European Research Council, ERC-AdG (2011)-290981. Non-linear phenomena and Plasmonic lasing: the introduction of optical-gain media into plasmonic waveguides has proven to be a feasible way to overcome the inherent losses within the metal. In order to reveal the physics behind this phenomenon, we intend to develop a new ab-initio theoretical framework that should combine the resolution of classical Maxwell’s equations with a quantum-mechanical treatment of the molecules forming the optical-gain medium. Within this formalism we also aim to analyze in depth very recent proposals of plasmon-based nano-lasers, the design of active devices based on surface plasmons and the use of optical-gain media inmetamaterials. 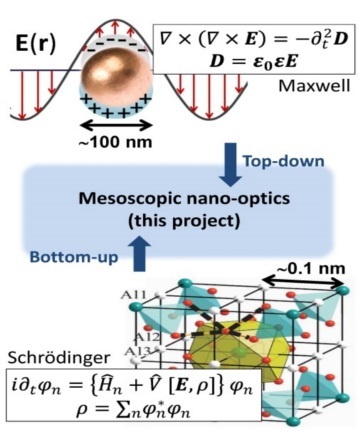 Transformation Optics for Plasmonics: we plan to apply the idea of Transformation Optics in connection with the concept of Metamaterials to devise new strategies for molding the propagation of surface plasmons in nanostructured metal surfaces. Additionally, we will use the Transformation Optics formalism to treat quasi-analytically non-local effects in plasmonic structures. These non-local effects are of paramount importance for quantifying the electric field enhancements associated with plasmon excitation. 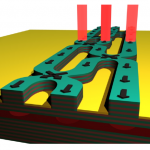 Quantum Plasmonics: several aspects of this new line of research are tackled. Among others, fundamental studies of the coherence of surface plasmons that propagate along different metal waveguides after being generated by quantum emitters. A very promising line of research to explore will be plasmon-mediated interaction between qubits, taking advantage of the quasi-one-dimensional character of plasmonic waveguides. 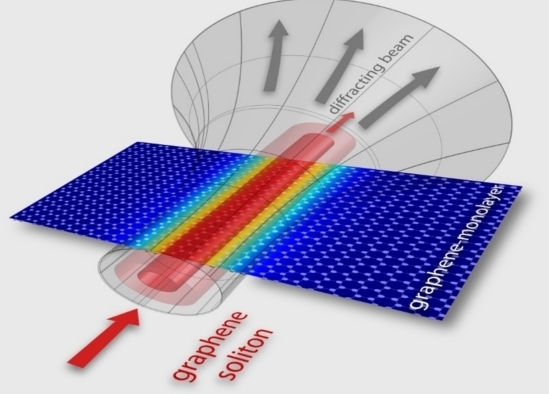 Strong-coupling phenomena between molecules and surface plasmons and the design of practical scenarios in which entanglement of surface plasmons could take place will be also addressed. 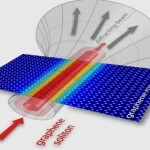 Read more on PLASMONANOQUANTA’s website. Funding Agency: Marie Curie Initial Training Network (FP7, European Union). Duration: January 2012 – September 2016. ACRITAS integrates world-leading expertise in scanning probe microscopy (STM, AFM) across national, disciplinary, and sectoral boundaries, providing essential training in research methods which underpin a vast amount of state-of-the-art nanoscience and associated R&D in both the public and private sectors. The scientific theme at the core of the ACRITAS research programme – measurement and manipulation at the single bond limit – is rapidly becoming a signature characteristic of nanoscience, (bio)nanotechnology, and associated spin-off technologies. 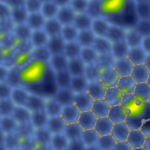 Our SPMTH research group at UAM collaborates with experimental groups in two topics: (i) Atomic scale characterization of defects in carbon nanostructures with STM/AFM and (ii) Probing the electrical characteristics of individual point defects and molecules on insulating thin films with Kelvin Probe Force Microscopy. Funding agency: Seventh Framework Programme (FP7). Duration: January 2012 – October 2017. Polaritons are quantum superpositions of light and matter . At the meeting point between condensed matter and quantum optics, they are realized in specially engineered devices: semiconductor microcavities, (Fig. 1). Fig. 1: (Left panel) sketch of a microcavity, two Bragg mirror–trapping light–surround a Quantum Well–trapping matter. Their strong interaction can then be controlled and explored (middle panel). The peculiar polariton dispersion (Energy vs. wavevector of the particles) shows that they are quasi-particles of a new type, combining properties of light and matter. Their combinations of the antagonist properties of photons and excitons (electron-hole pairs) empower them with unique properties to investigate some fundamental questions of a variety of exotic quantum states that have been predicted by the theory and/or realized in other physical systems. Their semiconductor implementation makes them ideal to bring quantum physics in tomorrow’s technology. The POLAFLOW project is a European Research Council research grant of five years duration with Prof. Daniele Sanvitto from the CNR in Lecce as the lead supervisor, in charge of the experiments and of the overall research activity, along with Dr. Fabrice Laussy from the UAM in Madrid, in charge of the theory and Prof. Pavlov Savvidis from the IESL-FORTH in Heraklion, Crete, in charge of sample growth and characterization. The project aims at pushing forward the polariton frontier towards a fundamental understanding of the physics they host as privileged laboratories of the interaction of lightwith matter . We mean to explore and control the classical dynamics on the one hand (Fig. 2) and reach the quantum regime where non-classical physics takes place with prospects for quantum information processing on the other hand (Fig. 3). Fig. 2: Rabi oscillations (normal mode coupling) between two Bose fields of light and matter and their switching-off by coherent control. 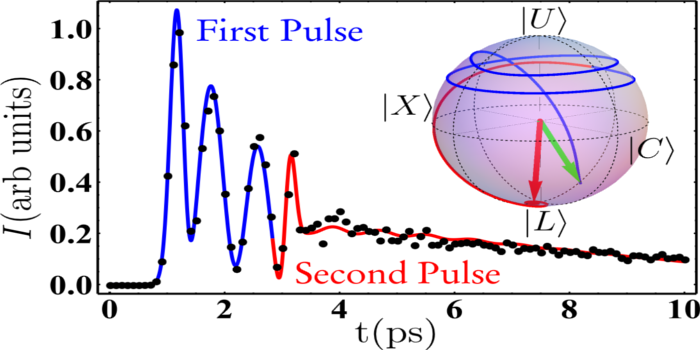 This fundamental phenomenon at the heart of most of the polariton physics has been directly observed in such a neatly resolved form for the first time by the POLAFLOW project. The theory (solid lines) provides an essentially perfect agreement with a fundamental model of few free parameters. Fig. 3: A polariton cat state, bringing two condensates in a quantum superposition, as pictured in its Rabi dance through the Husimi representation of the cavity reduced density matrix. More specifically, the dynamics of the polariton flow as an exotic fluid is investigated to study the hydrodynamics of the fifth element of matter (the Bose-Einstein condensate and its derivatives)  and power possible devices . Simultaneously, the quantum properties of the polaritons at the single particle level are pursued (Fig. 4), among other approaches, based on the theory of frequency-resolved photon correlations developped by our group . Fig. 4: The first-ever measured two-photon correlation spectrum, providing the Glauber’s correlation function of detecting two photons at given frequencies, spanned over all frequencies of emission from an out-of-equilibrium polariton condensate, has been obtained experimentally (left) by the POLAFLOW project, confirming the theoretical prediction (right). In the long term, the project that has been successful in each of these research lines separately aims at bringing them together to open a newpage of the polariton physics as a platform for macroscopic quantum effects (Fig. 5). Fig. 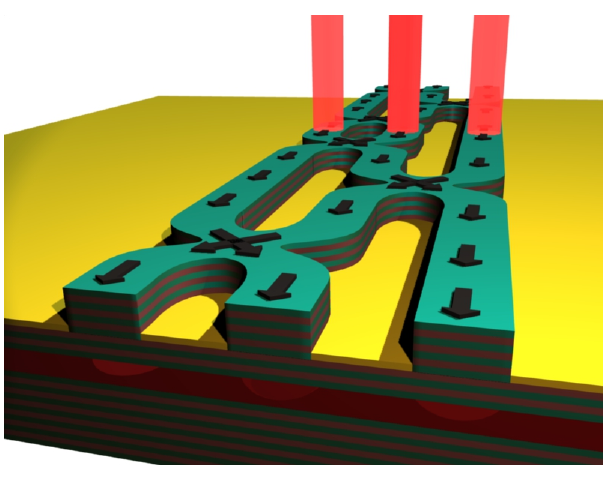 5: A polariton entangling device: in the long term, which-way uncertainty in traveling quantum packets could be used to propagate quantum information in quantum polaritonic devices. The project is strong of a Ramon y Cajal researcher (Fabrice Laussy), a Marie Curie fellow (Elena del Valle), a post-doc (Dmitry Vishnevski), three Ph.-D students (Blanca Silva, David Colas and Juan-Pablo Restrepo Cuartas) and has strong collaborations with Carlos Sánchez, Guillermo Guirales (Ph. D in co-supervision with Prof. Boris Rodrigues, Colombia), William Junio-Lima (Ph. D in co-supervision with Prof. José Maria Villas-Boas, Brasil) and Camilo López Carreño (Colombia). We welcome collaborations and motivated applicants. A.V. Kavokin, J.J. Baumberg, G. Malpuech and F.P. Laussy, “Microcavities”, Oxford University Press, 2011. F.P. Laussy. “Exciton-polaritons in microcavities”, volume 172, chapter 1. Quantum Dynamics of Polariton Condensates, pages 1-42. Springer Berlin Heidelberg, 2012. 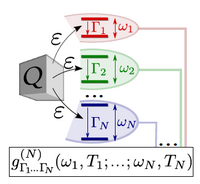 L. Dominici, D. Ballarini, M. De Giorgi, E. Cancellieri, B. Silva Fernández, A. Bramati, G. Gigli, F. Laussy, D. Sanvitto, “Backjet, shock waves and ring solitons in the quantum pond of a polariton superfluid”, arXiv:1309.3083, 2013. D. Ballarini, M. De Giorgi, E. Cancellieri, R. Houdré, E. Giacobino, R. Cingolani, A. Bramati, G. Gigli, and D. Sanvitto. 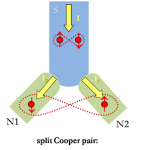 “All-optical polariton transistor”, Nat. Comm., 4, 1778, 2013. B. Silva, A. González Tudela, C. Sánchez Muñoz, D. Ballarini, G. Gigli, K. W. West, L. Pfeiffer, E. del Valle, D. Sanvitto and F. P. Laussy, “Colored-photon antibunching from an out-of-equilibrium condensate”, arXiv:1406.0964, 2014. Duration: January 2011 – December 2014. Source of Entangled Electrons in Nano Devices – SE2ND is an ambitious project granted by the FP7 FET-Open initiative of the European Commission. SE2ND is a joint effort of experimental and theoretical physicists to develop a highly efficient and continuous solid-state source of spatially separated spin-entangled electrons. 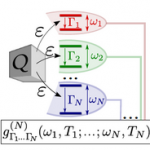 A source of this kind, integrated with other electronic elements, will be of great importance in future quantum processors, where they provide, for example, the entanglement distribution required to synchronize quantum circuits, or enable secure communication.